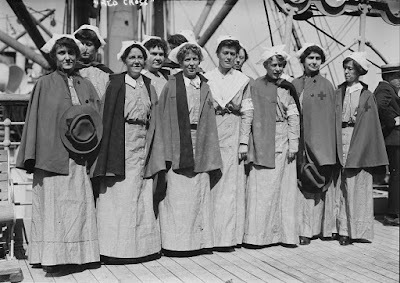 The departure of the steamship on September 12, 1914 was a memorable sight, as 126 American Red Cross nurses stood in their white caps and gray uniforms along the rails where the sea wind blew open their red-lined capes, creating a line of scarlet on the side of the vessel. 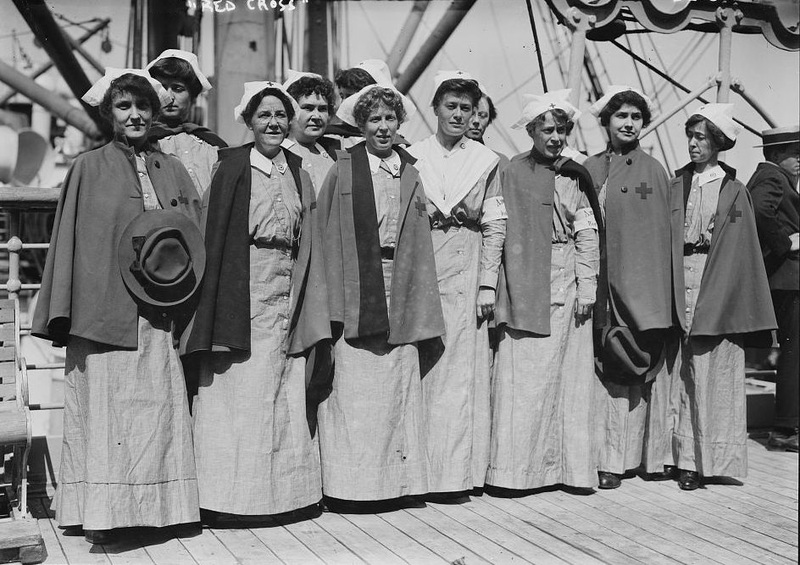 World War I had erupted a little over a month earlier and now they, along with 30 surgeons and boxes of medical equipment, were sailing from New York on what was called a “mercy mission.” Striving to stay neutral, the United States deployed the American Red Cross to provide medical aid to both sides of the conflict in Europe. Once on board, they were organized into units that would establish military hospitals in seven locations—Paignton, England; Pau, France; Kiev, Russia; Kosel and Gleiwitz, Germany; Vienna, Austria; and Budapest, Hungary.2 A battered menu bears witness to this largely-forgotten expedition that embodied a humanitarian ideal which was ahead of its time.